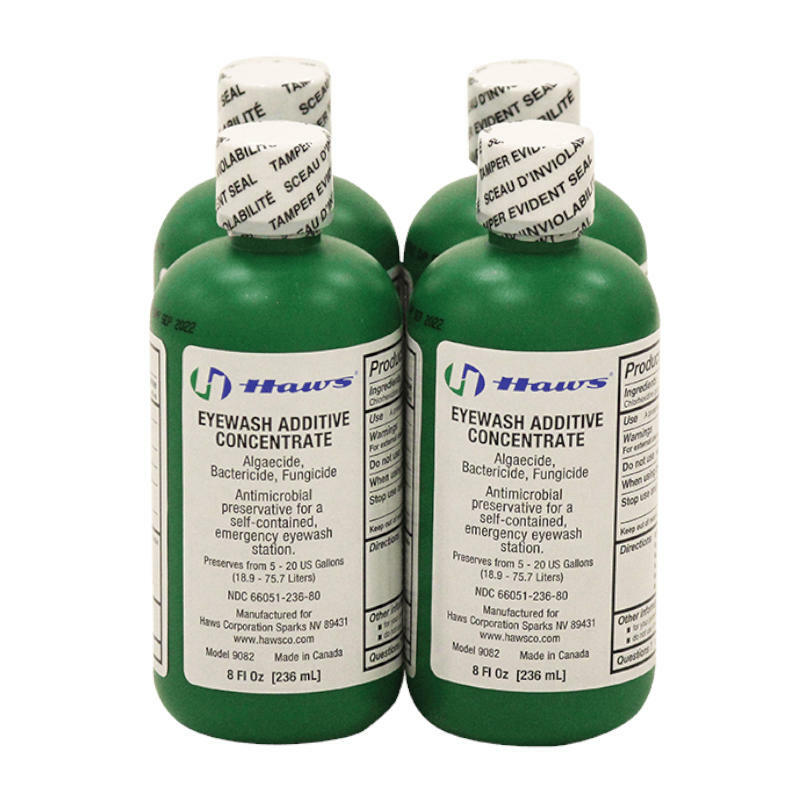 Haws Eyewash Preservative is made of a bacteriostatic solution for use with portable eyewash stations. This Preservative is sold in cases of 4 bottles. Each 5 oz. bottle can preserve 6-20 gallons of portable water for three months.